Morningstar has established themselves as one of the premier development builders on Burke Mountain - consistently producing high-quality homes with superb value. 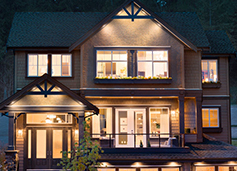 Highland Estates will surely be one of the most talked about collections of exquisite single-family homes on Burke Mountain. Set to redefine luxury living on Burke Mountain, this is an elite boutique collection of residences featuring 4,800 square feet of sophisticated living. Adding to its list of Burke’s most prominent neighbourhoods like Partington, Somerton, Kingston, Avondale and Belmont, Highland Estates will become Morningstar’s 10th project on the mountain and will once again raise the bar for exclusive single family home luxury. Highland Estates' exceptional executive-style homes blend traditional elegance with contemporary sophistication. Each estate showcases 5 well-appointed bedrooms, 4½ bathrooms, a finished basement and elegance at every turn. Beautiful hardwood floors, gorgeous granite countertops and a feature linear fireplace make these homes truly spectacular. Then, oversized windows invite incredible views and green space inside, while the dramatic vaulted ceilings, custom linear fireplace and sophisticated glass railings form an impressive interior, add to that a finished basement and a three-car garage giving you abundant space and luxurious comfort. Each residence also provides natural privacy with yards featuring patios or decks, lush verdant landscaping and scenic views.